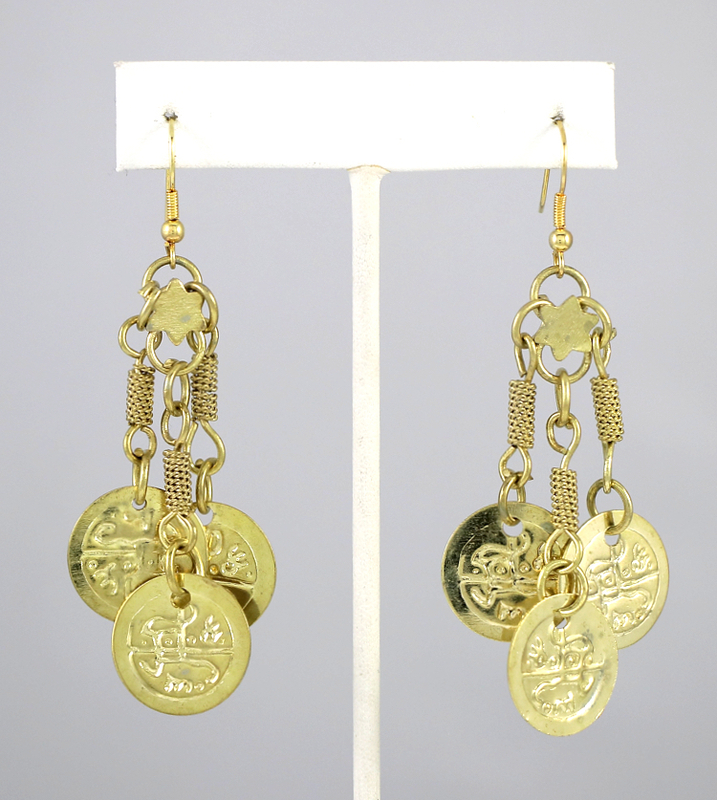 Pair these lovely coin earrings with other coin accents to create the classic bellydance look. Approximately 3 inches long from post. Love these earrings- they add just the right amount of flash without being too much.